A Pleasant Street snowman grins wide at the prospect of finally getting a body. 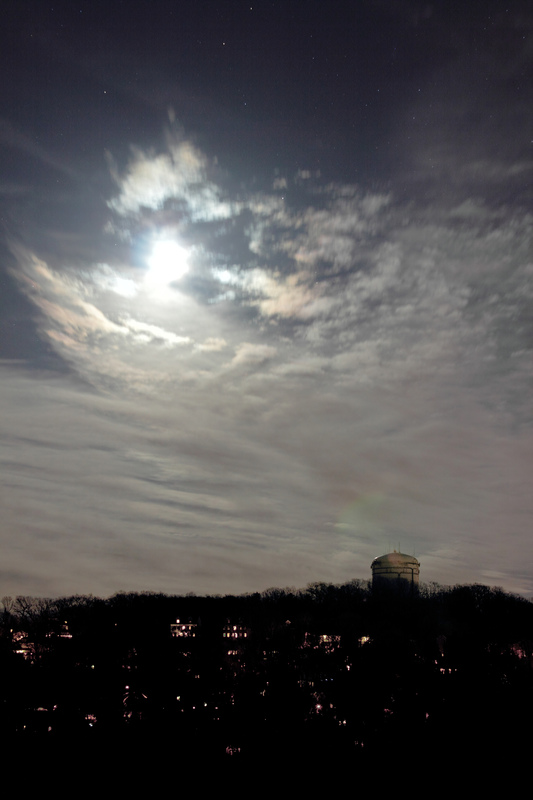 The moon rises over Turkey Hill. 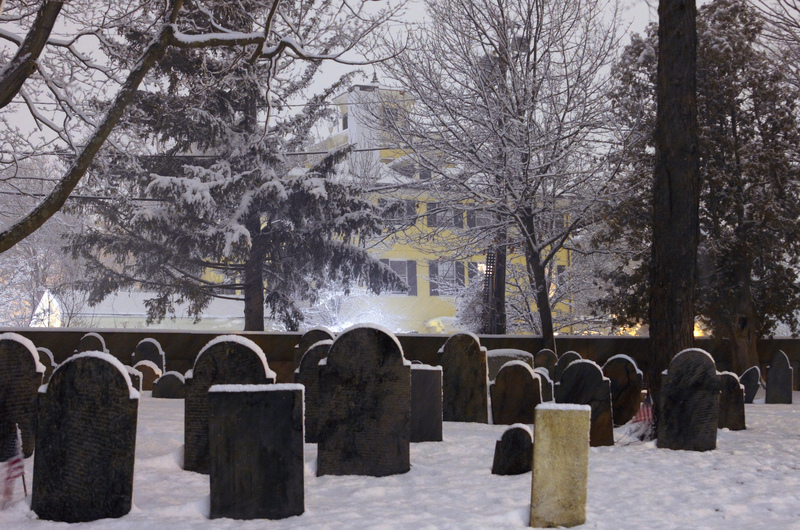 The Whittemore-Robbins House looms over the Old Burying Ground during a snowstorm. 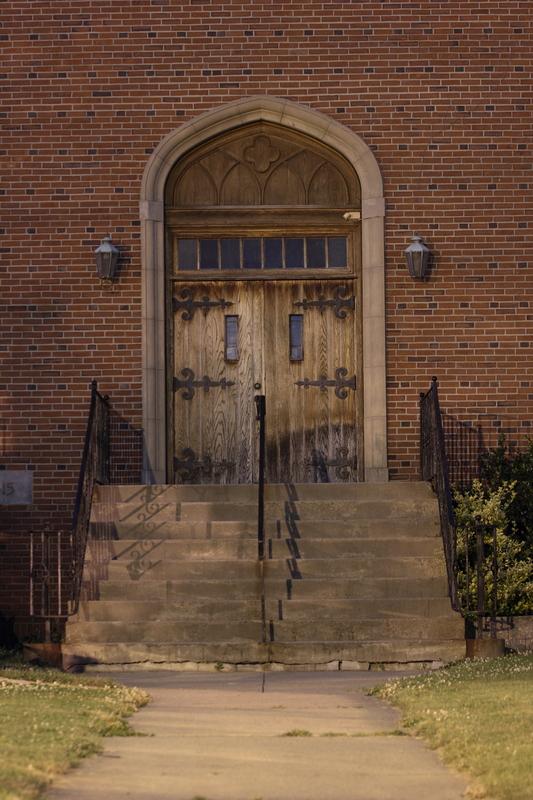 The door to the tower of Trinity Baptist Church on Massachusetts Avenue in East Arlington. 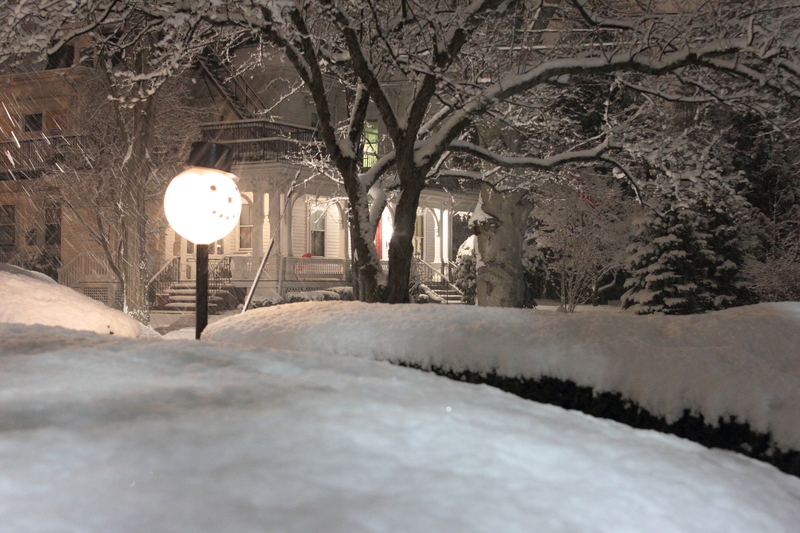 A wreath on an Academy Street home illuminated for the holiday season. Nutcrackers stand guard at the front door of a Mystic Street home. Two posters of lost dog Snappy at the intersection of Mystic and Old Mystic Streets.